A way to be thankful. Summer ends and I always a feel a moment of melancholy because I’m not ready to let go of late summer nights when the air is warm and I’m still enjoying walking outside in my bare feet and my mornings are long and lazy with nowhere to go but the lake. Then I see my kids nervous and excited for their first day of school and I think of the potential the year holds for them as they pass new milestones and my melancholy turns to anticipation. 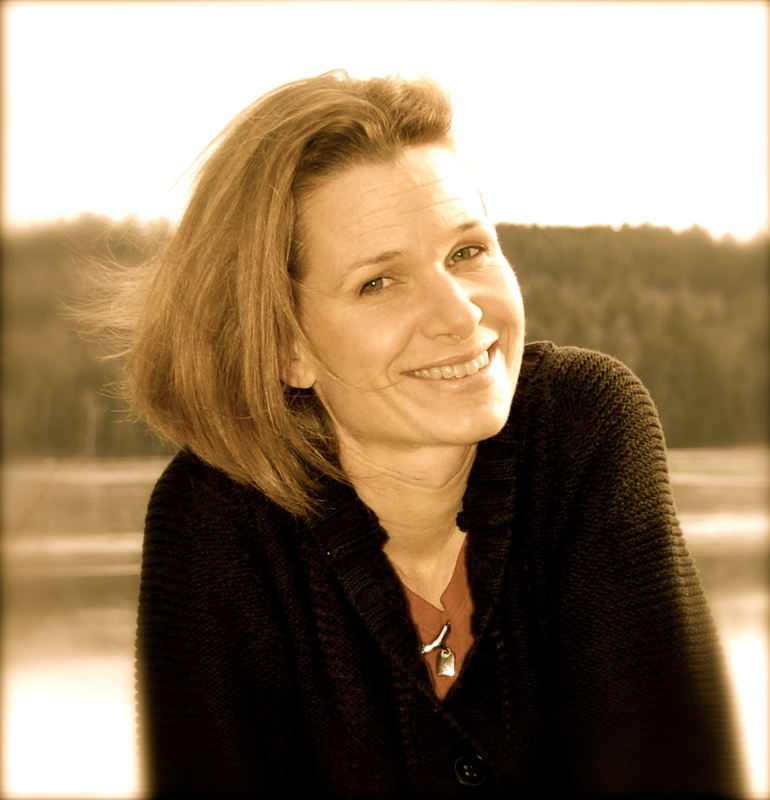 I dive into a new year of making lunches, soccer games, and more writing time. For some reason I blink and September and October have passed. How did that happen? I know the answer: day by day, moment by moment. Have I cherished each one? I hope so. I want this November to be a month of appreciation. I want to be truly thankful for my family and friends and the life I have been given. Most of this might not seep through to the words of my blog or even my writing every day or every week. But on one day it will. 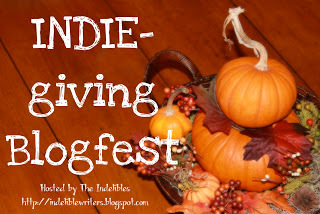 On November 18th, the Indelibles are hosting a blogfest called INDIE-giving. A chance for anyone and everyone to take a day on their blog to be thankful. For anything. For anyone. You can give a book or something else or share a poem or just post about anything to do with being thankful. In your own way and style. Want to join us? Sign up with the Linky Link HERE. Looking forward to your posts! ← A book launch and a cover reveal! 14 Responses to A way to be thankful. I think this is a fantastic idea! I signed up! Awesome! I really am looking forward to this! I know what you mean, the fall is whizzing past but I get sad that I’m not enjoying it, just too busy being busy! Hope you are well Laura. This blogfest is a great idea! This seems to happen every year! The months go by too fast! Slow down, I say! I signed up! Not an Indie, but I can be thankful for the Indie authors I know. That’ okay, Alex. The blogfest is for anyone to show their thanks! This year has gone way too fast!! I don’t even want to think about how soon Christmas will be upon us. It was only 26 degrees this morning though here in northeast Ohio, so whether we like it or not, winter’s on it’s way. Sounds like a great fest. I love the changing of the seasons, but then I like the cold, so I’m weird. Laura, I LOVE the idea of being thankful for the whole month of November, not just the day. Actually, it’s a great attitude to have year-round. And the blog fest sounds fabulous. Can’t wait to see all the posts and the giveaways!